4 Ways Law Firms Should Be Using Legal Document Services - ABI Document Support Services, Inc. - ABI Document Support Services, Inc. If you run a law firm, you are well-acquainted with the hassle of managing, maintaining and storing paper. Although estimates vary, recent surveys reveal that the average law firm uses up to 100,000 pieces of paper every year. This number is arguably much higher for litigators who regularly handle personal injury and workers’ compensation cases. Laid end to end, it’s enough paper to wrap around the U.S. Supreme Court building 66 times. 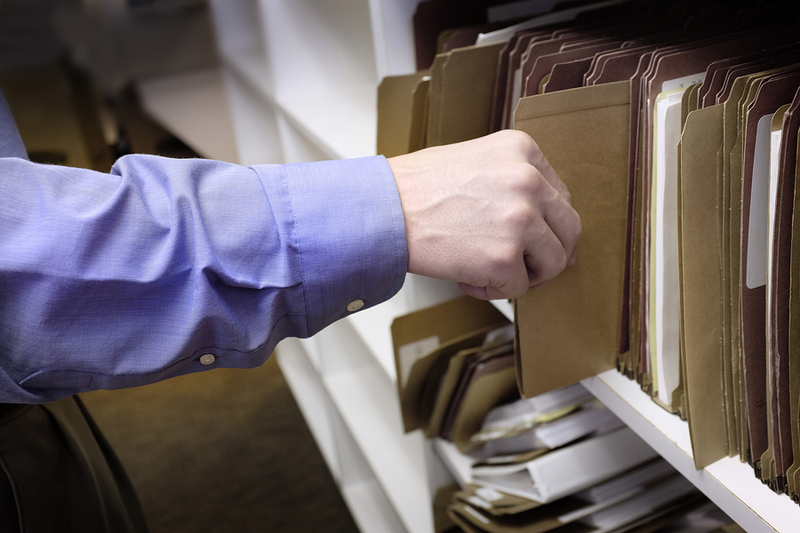 Aside from the logistical challenges of keeping track of documents, lawyers must also devote hours of billable time to sorting through documents — often medical records — to find key information to support their clients’ claims. Whether you’re digging through boxes of contracts or surgical reports, traditional search methods are like looking for a needle in a haystack. In other words, not very efficient. This is where a document support company can help. Here are four ways legal document services can free up resources, boost your billable hours and help you streamline your litigation prep. Preparing and monitoring discovery requests may be a routine task, but it can consume a great deal more time than lawyers realize. Even if your law firm issues dozens of subpoenas a month, someone in the office must follow up on these requests and address delays when they arise. Wouldn’t it be nice to have a central platform that gave you real-time updates on the status of your discovery requests? This is what ABI’s record retrieval service delivers. ABI consistently fulfills over 46,000 50,000 record requests a month for 10,377 active clients across the United States. Once you place your order, you can rest easy knowing ABI is already getting to work on your request. From issuing the subpoena and ensuring compliance to obtaining your records and emailing you as soon as they’re ready, ABI streamlines the records retrieval process. Technology has revolutionized the way lawyers work. Today’s practitioners are well-versed in online research tools, which outpace traditional research methods in both speed and reliability. However, technology in the law isn’t limited to research. ABI listened to what lawyers asked for in a document summary service, and we set about delivering the functions and options they needed to more efficiently review, analyze and summarize medical records and other documents. When most companies services ends with the retrieved records, ABI’s begins. ABI’s cloud-based document management tool, eSummary allows law firms to eliminate waste and reduce cost by using technology that quickly delivers and efficiently stores documents for as long as you need them. With eSummary, you can also search for a typed word or phrase throughout all documents, look for specific keywords and highlight important information. For law firms, sorting through documents is just one part of the document management lifecycle. Once the case has been resolved, there is the problem of storing the documents involved in the case. Depending on the type of claim, this can mean several boxes of files. It doesn’t take long for a firm to accumulate hundreds of boxes filled with tens of thousands of documents — and they all need to go somewhere. Obviously, all of this paper has a negative impact on the environment. However, it’s also costly for law firms forced to foot the bill for storage. State and federal courts across the country have recognized the need to cut back on paper consumption. The federal courts began accepting electronically filed documents as early as 2001 and have received over 500 million e-filed documents since the federal system launched its electronic case files platform. Perhaps more than any other industry, time is money in a law practice. With traditional document summary and analysis methods, lawyers, paralegals and support staff must weed through a lot of non-essential information to pull out what is beneficial for a client’s claim. They must also conduct document review at the pace at which requested documents arrive in the office. It goes without saying that working on another entity’s timetable often means dealing with frustrating delays that make it difficult to plan ahead. When you work with a record retrieval company like ABI, however, you receive documents faster, you get them delivered wirelessly to your PC, tablet or phone, and you can start analyzing them right away using advanced highlighting, search and notation tools. ABI can also deliver print documents in chronological order and allows users to organize by document type, create custom summaries, search records by keyword phrases and more. If you’re frustrated by the document retrieval runaround, and you’re tired of wasting valuable hours digging through documents instead of using your time to create a winning case strategy, ABI can help. We have served law firms across the nation for over 30 years. Contact us today to learn more.